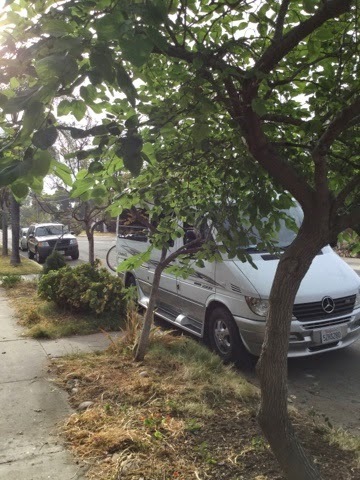 Last night we slept in the van in Normal Heights, San Diego. We are waiting for our friends to get their rig ready. We will be leaving tomorrow, May 3rd at 9:30 AM. We have been "homeless" since yesterday morning. It has been quite a busy week for us with the packing and moving. Boomer, the cat, is comfortable in his new temporary home in Pacific Beach with Thor and Peggy. Pumpkin is always ready to roll and loves the Roadtrek.